Breadwallet is the first bitcoin wallet for iOS that offers a direct connection with your assets; no faulty servers to get hacked or go down. 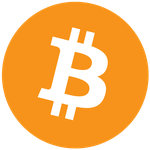 SAN FRANCISCO, CA – September 10, 2014 – Now available, breadwallet is an iOS bitcoin wallet app designed to make sending and receiving bitcoin simple and safe for everyone, not just bitcoin experts. Breadwallet uses “simplified payment verification,” or SPV, to connect directly to the bitcoin network, removing the need for trusted servers while maintaining fast performance on mobile devices. One of the first deterministic wallets on the market, breadwallet can recover all your bitcoin addresses and balances from a single unique phrase associated with your wallet. This phrase eliminates the need for continual backups and can restore your wallet on another device if yours is ever lost or broken. Breadwallet is open source and takes advantage of all relevant iOS security features, providing protection against malware, browser security holes and even physical theft. Breadwallet is available for free on the App Store. For more information on breadwallet and upcoming features like an Apple Watch version and support for Touch ID and NFC, please visit breadwallet.com or the github repository voisine/breadwallet. Breadwallet is developed by entrepreneur and mobile app developer, Aaron Voisine. In addition to his contributions to the bitcoin community, Mr. Voisine was the iOS lead at Yammer Inc., senior iOS consultant for Banjo Inc., and co-founded Lightt Inc., a social video sharing service.